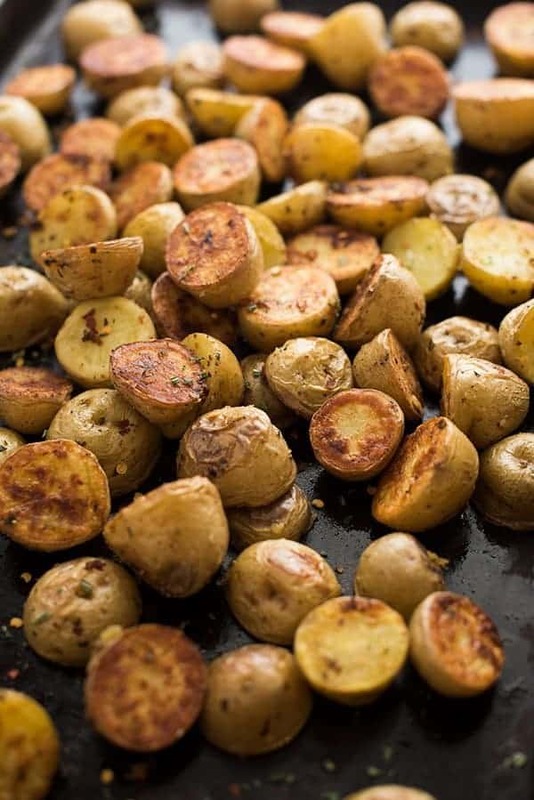 Creamy potatoes are halved then roasted with olive oil, rosemary, garlic and salt. 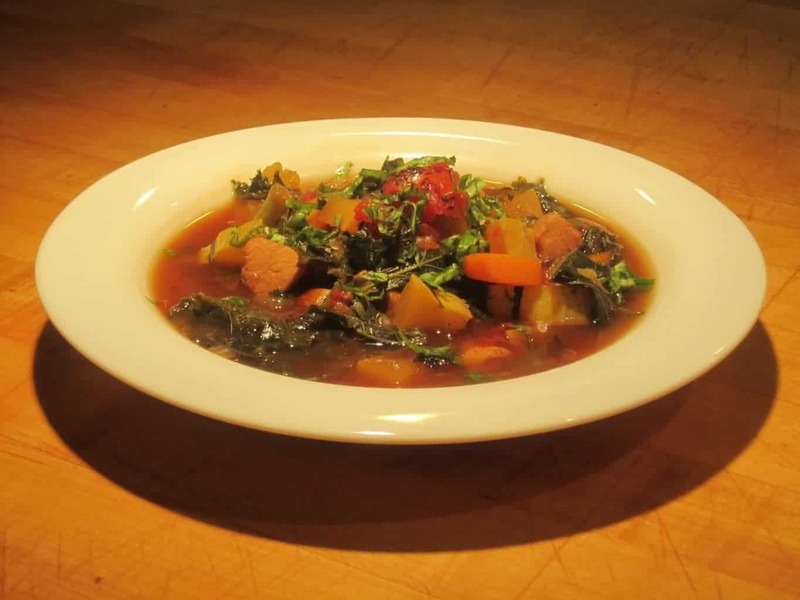 A fast and easy five-ingredient side dish recipe! 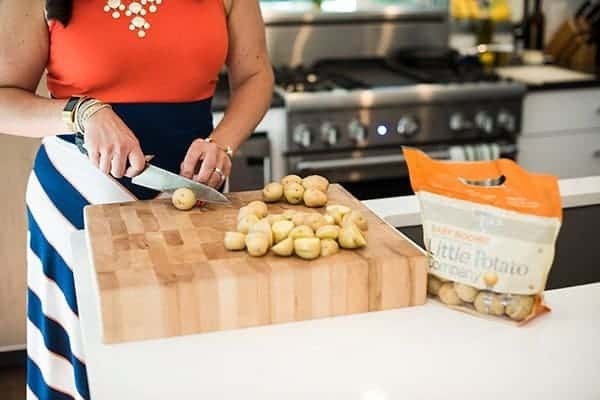 Potatoes are one of my go-to’s when it comes to fast and easy side dish recipes. Versatile, nutritious and affordable, they are delicious mashed, tossed in a salad or roasted to crispy perfection. 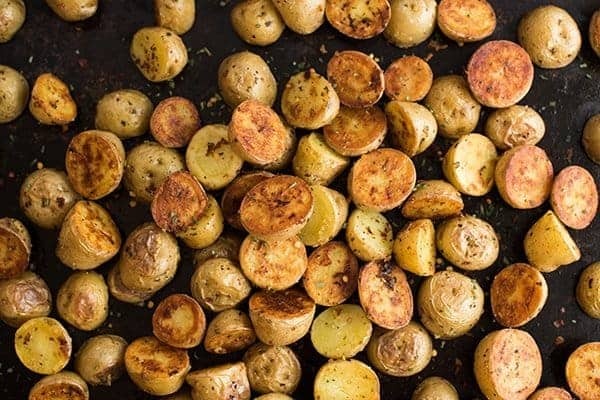 For this recipe I decided to toss Little Potato Company Baby Boomer’s with fresh minced rosemary since I have it growing like a weed in my garden right now. If you don’t have fresh on hand, dried works well too. Simply reduce the amount of fresh by half to get the measurement for dried herbs since they are stronger. Just about any time I cook with rosemary, I have to add it’s BFF garlic. Garlic brings out the rosemary flavor in the best of ways. The easiest way to add garlic to the dish is to grate it with a microplane or similar grater. 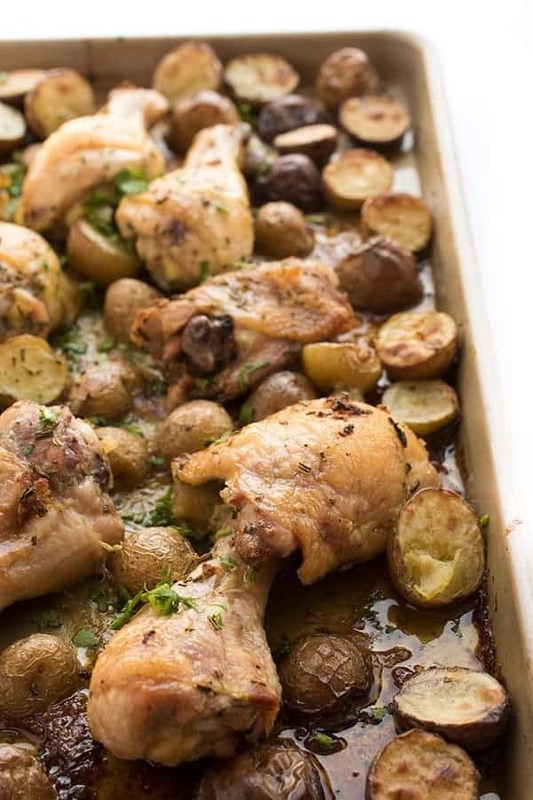 Once you’ve tossed the potatoes with the olive oil, rosemary, garlic and salt, simply toss the pan in a 425 degree oven and roast until golden brown and crispy. 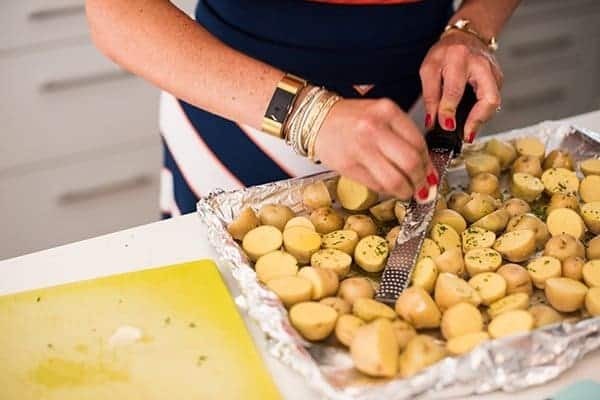 Skatter potato halves on the baking sheet then toss well with olive oil, rosemary, garlic and salt. 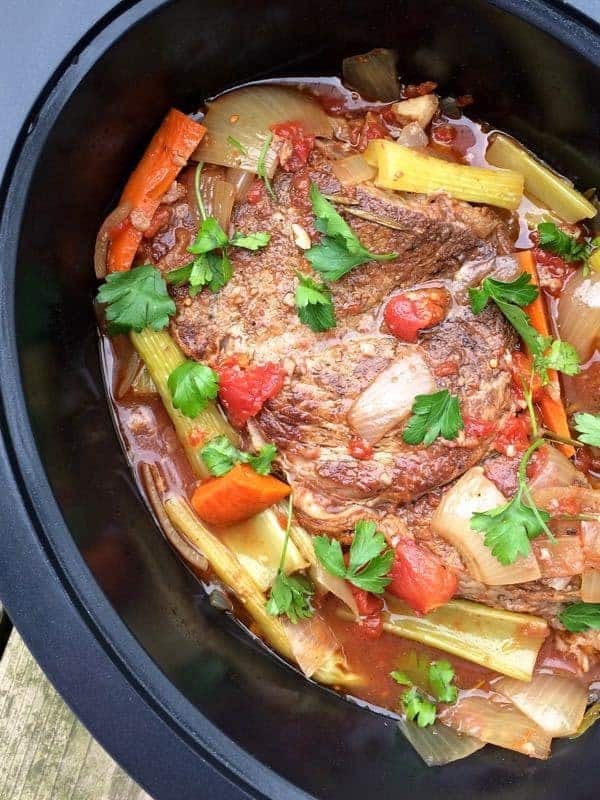 Roast until crispy, about 45-50 minutes, tossing once halfway through. 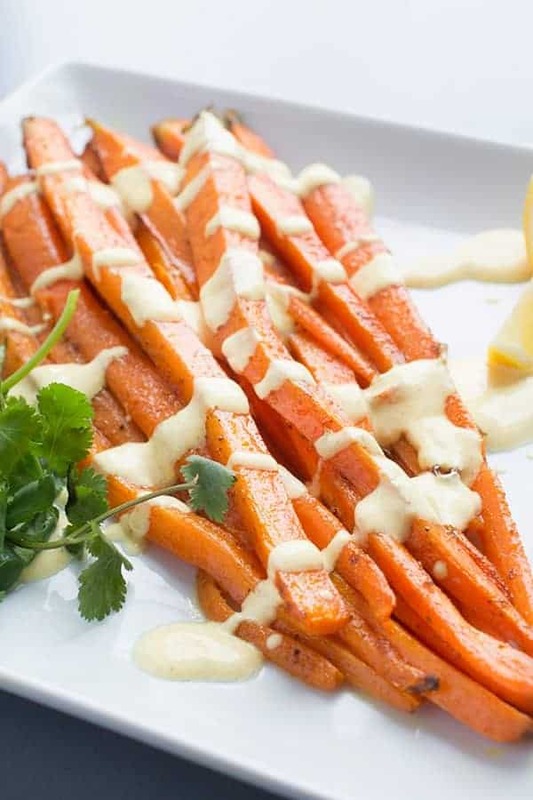 Check out my Pinterest board for more side dish recipes! Love love love! how simple these are! I LOVE rosemary! 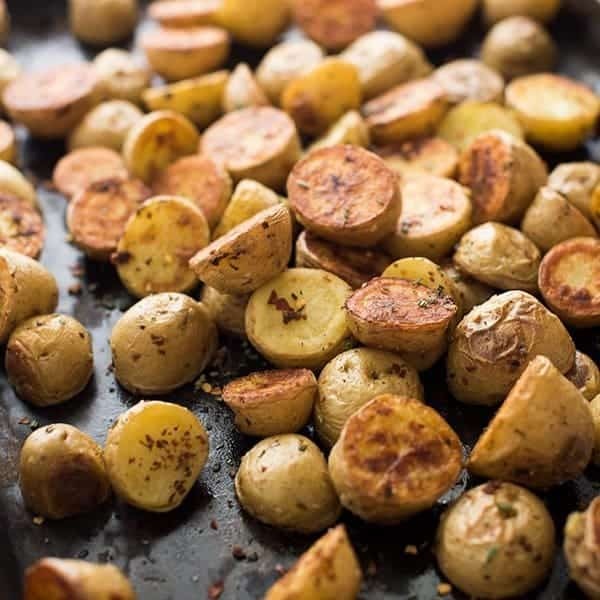 These potatoes are perfect, they have just the right about of crisp on the outside and are no doubt tender on the inside!